Alvexo is a CFD broker owned and operated by VPR Safe Financial Group Limited, which is a Cypriot company, regulated by the Cyprus Securities and Exchange Commission (CYSEC) under licence number 236/14. Their registered address is 1, Agias Fylaxeos Street, KPMG Center, 2nd Floor, CY-3025 Limassol, Cyprus, the contact phone number is +357-250-30482 in Cyprus and +44-2037699390 in UK and the email is [email protected] The company is also EEA Authorized by the British Financial Conduct Authority (FCA), meaning that it can offer certain products or services in the United Kingdom. Their reference number is 683301. There is no reason to suspect that Alvexo is a scam! They are regulated by the CySEC and EEA Authorized by the British FCA; the company is transparent, with plenty of contact details and on top of that, their CYSEC licence was received back in 2014, so they are not exactly new on the scene. However, this doesn’t mean that there is no risk! Trading carries inherent risk to your investment so you should make sure you know what you’re doing. Besides being regulated by CySEC and authorized by the British FCA, they offer my favorite trading platform, Meta Trader 4. This is a very complex tool that allows proper technical analysis, has a built-in newsfeed and tons of other features, too many for me to list here. Without a doubt, the suckiest thing about Alvexo is their minimum deposit, which is a whopping 500 bucks. This is almost double than the industry average of $250 (some brokers let you invest as little as $100) and will probably drive a lot of potential customers away. Also, the spreads for the lowest account are way too big, starting at 3.3 pips. Should I Open An Account With Alvexo? The company is regulated by CySEC since 2014 but the exact date when Alvexo as a brokerage was launched is not known. As mentioned before, they are also Authorized by the British FCA to offer certain products and services in the UK, so we can say that we are dealing with a brokerage that’s safe from a regulation perspective (market risk remains though). The platform of choice is Meta Trader 4 (MT4), which requires download and installation but if you are not keen on doing that, you can simply use their Web Trader, which is a web-based version of the platform, still sporting all the main features of the downloadable version. MT4 for mobile (iOS and Android) is also available, as well as a Sirix version for tablets. Accounts start at $500, which is a hefty and rather restrictive sum, considering that most brokers offer accounts starting at 200 – 250 USD and there are a lot of options even lower than that (some brokers have a minimum deposit of $100). The next account is named Gold, with a minimum deposit of 2,500 USD, followed by ECN Account with a minimum deposit of 5,000 USD and Prime that requires a deposit of 10,000 USD. All this is too steep in my opinion, so Alvexo looks like a brokerage for traders with deep pockets but I am not sure the perks that come with a higher tier account are worth the extra investment. The education section has enough information to prepare newbies for trading but won’t turn anyone into a professional trader. That takes years of learning and practicing. They have enough articles to cover the basics of Forex, CFDs, economic indicators, strategies, etc. but also a Daily Marker Review, which is actually updated daily, at least when I checked it for this review. A glossary of terms and an FAQ section are also present. 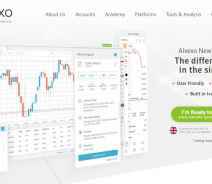 Overall Alvexo seems like a brokerage that’s well put together, covering most of the stuff that traders need, but the high deposit requirements may keep some clients away. Don’t get me wrong, this seems a relatively good brokerage if you compare it with “old” binary options brokers but if you put them against giants of the industry like FXPro for example, they are just mediocre. However, time will tell if they can improve or if they will sink in the wide sea of CFD brokers. While looking complaints on Alvexo, I realized they are in an interesting situation: on one hand, people are angry because their account managers are losing money trading and then ask for more deposits. On the other hand, people praise the account managers for their professionalism, skills and overall behavior. To be honest, the “good” reviews seem doctored to me and it’s like, for every complaint, someone pops up immediately, saying how good Alvexo actually is. I cannot vouch for any side, because I cannot know for sure who is speaking the truth. Just use caution and don’t let your account manager trade for you. At the time of writing, we couldn’t find any warnings issued by the CySEC, British FCA or other regulatory agencies. If this changes in the future, we will update this section as necessary. The minimum withdrawal amount is $100 and the methods are credit cards and wire transfers. According to their Terms And Conditions, “the Company will make all reasonable efforts to ensure any transfers are made effective in a timely manner, the Company cannot guarantee how long this process may take”. In another section, they say that withdrawals take between 4 and 7 business days but the quote above is a bit worrying because basically, they say they don’t know when the money will reach you. 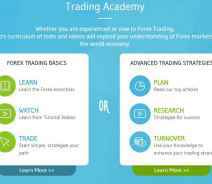 They provide free trading signals, generated twice a day, with 88% accuracy. We cannot confirm if this accuracy is real and/or consistent. They have a section for cryptocurrencies on the website but it simply says “Coming Soon”. Crypto trading would be a nice extra, so hopefully Soon means soon. The website is translated into only 4 languages (English, Arabic, French and Italian) but the content is relatively well organized and easy to access. The Meta Trader platform is complicated at first, at least for newbies, but things get easier pretty fast. US clients are not allowed, Demo accounts and mobile platforms are available. Alvexo offers CFD trading on stocks, commodities, indices and currency pairs. The choice is pretty big, with a focus on currencies but to invest in stock CFDs you will need to open an ECN account (min deposit $5,000). The spreads for the Classic account start at 3.3 pips, which is too high in my opinion and probably meant to make you open a higher account like Gold, where spreads start from 2.2 pips (which, by the way, is too high also). The default leverage is 50:1 but can be increased to 300:1. The information about deposits and withdrawals is scarce, which is never a good thing. Minimum deposit is $500, minimum withdrawal is $100 and the processing time is 4 – 7 business days. The methods are credit cards and wire transfers. They plan on adding cryptocurrency trading but it is not clear if this means that you will be able to deposit/withdraw using crypto wallets. There are no fees to open an account (this is the case with all brokers) but withdrawal fees will be paid by the customer. For a full list, please refer to their Terms and Conditions or contact a representative. I couldn’t locate a Live Chat button so the only known options are email and phone. Regulation by two solid agencies (CySEC and FCA), a great trading platform (Meta Trader 4), free signals twice a day (88% accuracy according to them but we cannot confirm) and possibly cryptocurrency trading in the future.